"We provide a place in our town and in our world for you, our readers and customers.... We can't match Amazon, but if you've stepped foot in our store, we've already provided something that Amazon cannot." --David and Vanessa Gronbach, co-owners of Bank Street Book Nook, New Milford, Conn., in a letter to their local newspaper, the New Milford Spectrum. An update on James Patterson's $1.25 million donation to school libraries: due to an "immediate and overwhelming response," Patterson is increasing his donation by $250,000, to $1.5 million. Since the announcement two weeks ago, Patterson and Scholastic have received more than 10,500 grant applications from school libraries for amounts ranging from $1,000 to $10,000. The grants have requested funding for everything from new books and better shelves to flood damage repairs. Scholastic is matching Patterson's donation with "bonus points" teachers can use for educational materials. "I'm blown away by the number of parents and teachers who have shared the urgent needs of their community's school library," Patterson said. "It's clear that our school libraries require critical help. I know we can't solve the issues overnight, but I hope at the very least we're able to raise awareness about the important position the school library plays in the educational achievement of children." Facing eviction proceedings, Brazenhead Books, the unusual New York City bookstore that has operated secretly from a rent-controlled apartment on East 84th St. on the Upper East Side since 2008, has agreed to move out by the end of July, the New York Times wrote. Brazenhead is a combination bookstore/speakeasy--whose location is known only to cognoscenti--where owner Michael Seidenberg holds a twice-weekly salon and sometimes sells by appointment. The store had a bricks-and-mortar life until the early 1990s, then mainly sold at book fairs and on the street until it opened in the apartment. The Times noted that Seidenberg "hopes to find a benefactor with space in Manhattan to help preserve what he says has become a cultural institution." At Publishers Group West headquarters in Berkeley, Calif., last week, scores of colleagues past and present gathered from near and far to wish Susan Reich well before she retires as president at the end of the month. "If I had known I was going to see all of you guys in one place, I would have done this a long time ago," said Reich. With a nod to agent Carole Bidnick, who first introduced Reich to PGW's founders, Reich recalled having a seven-hour job interview in the 1990s, "and I swear I said seven words." They must have been the right words: Reich joined PGW. She's tried to leave a few times, only to return and eventually become company president in 2007. Incoming PGW president Sean Shoemaker with Susan Reich and Charlie Winton. Company founder Charlie Winton proclaimed to Reich, "You're such a wise person in all ways." Even as the head of the company, he noted, Reich remained engaged at sales conference to the very last title. "I'm sure you will have a wonderful adventure and keep going," said Winton. "And I am sure everyone will stay connected because that's the nature of this business." V-p of sales Elise Cannon credited Reich with bringing "so much grace and power" to the company. She recalled that Susan was never too busy to hear about someone's vacation and was known for writing helpful Post-it notes in her "teeny tiny" handwriting. "So many people in this office are having a hard time this week," Cannon said. Especially for her female colleagues, she added, Reich was an ideal role model: smart, and "a kind and caring citizen." 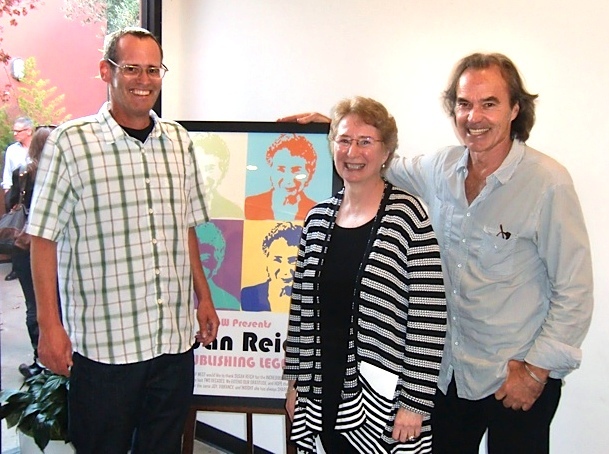 Perseus president and CEO David Steinberger made a special trip to California to honor Reich. "She is amazing in her integrity and straightforwardness, and always doing the right thing for her people and the company and the books," he said. Not everyone, he noted, is inundated with nice phone calls when they announce their retirement. Recent trends in Australian bookselling are mirroring trends in the U.S., as outlined in the Financial Review: "Bricks-and-mortar book shops that sell printed books are enjoying a resurgence in Australia just a few years after the rapidly expanding digital book sector threatened their very existence." And the children's/YA category is particularly strong. 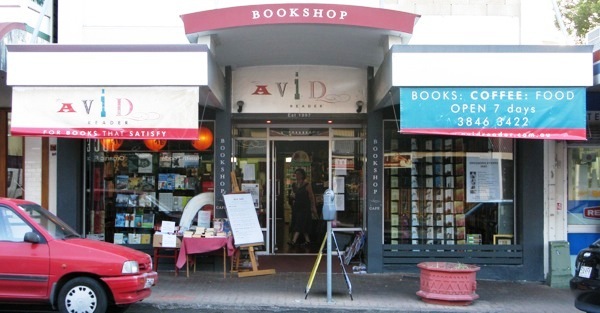 Four independents have opened this year (comparable on a per capita basis to about 50 here), two of which are children's bookstores, including Where the Wild Things Are Bookshop, Brisbane, a branch of Avid Reader. 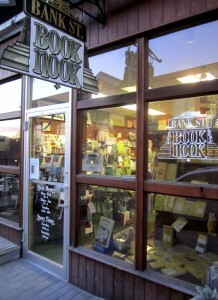 Owner Fiona Stager, former president of the Australian Booksellers Association, told the Financial Review that when Avid Reader decided to open a branch, at first it thought of focusing on travel or cooking: "When I looked at the sales data, I knew it had to be children and young adults," she continued. "We were crammed and still selling lots of children's books, so we decided to take the risk at setting up a dedicated store." At Dymocks, which has 65 stores in Australia, most of which are franchised, children's book sales rose 14% last year, and YA titles were up 43%. Managing director Steve Cox said that some YA series like the Hunger Games and Divergent have sold well again after being made into films: "Many books that are hugely popular get onto screen and, bam, book sales go again." Last week at the TED2015 conference in Vancouver, B.C., TED set up a 3,000-square-foot bookstore space and invited Black Bond Books--which has 10 stores in British Columbia--to be its official bookseller. Black Bond president Cathy Jesson reported that the pop-up store hosted numerous authors for signings through out the week, and sales were "wonderful.... TED values the print book and the enthusiasm the attendees have for same is fabulous." One of the many authors who stopped by was Neil Gaiman, pictured here with (l.-r.) booksellers Caitlin Jesson, Holly Morgan, Mary Ann Yazedjian, Shari Craig, Samantha Frankel and Cathy Jesson. "Tuesday is when most of the new books come out. This week we are looking forward to the new Harlan Coben [The Stranger], which is getting some of his best reviews to date. "About ten years ago, Harlan Coben called the store one day, at random. He was stuck in an airport and thought he'd spend the time calling independent bookstores and thanking them for carrying his books. I thought that was pretty classy." A Reunion of Ghosts: A Novel by Judith Claire Mitchell (Harper). This morning on CBS This Morning: Michael Lewis, author of Flash Boys: A Wall Street Revolt (Norton, $16.95, 9780393351590). He will also appear tomorrow on Morning Joe. This morning on the Today Show: Harlan Coben, author of The Stranger (Dutton, $27.95, 9780525953500). Today on the Talk: Sarah Colonna, author of Has Anyone Seen My Pants? (Gallery, $16, 9781476771922). Today on Dr. Oz: Lidia Bastianich, author of Nonna Tell Me a Story: Lidia's Egg-Citing Farm Adventure (Running Press Kids, $16.95, 9780762451265). Today on Fresh Air: John Hargrove, co-author of Beneath the Surface: Killer Whales, SeaWorld, and the Truth Beyond Blackfish (Palgrave Macmillan, $26, 9781137280107). Today on Diane Rehm: Misty Copeland, author of Life in Motion: An Unlikely Ballerina (Touchstone, $15.99, 9781476737997). Tonight on the Daily Show: Ayaan Hirsi Ali, author of Heretic: Why Islam Needs a Reformation Now (Harper, $27.99, 9780062333933). Tomorrow morning on the Today Show: Tim Gunn, author of Tim Gunn: The Natty Professor: A Master Class on Mentoring, Motivating, and Making It Work! (Gallery, $25, 9781476780061). He will also appear on the View. Tomorrow night on the Daily Show: Jon Ronson, author of So You've Been Publicly Shamed (Riverhead, $27.95, 9781594487132). A pair of clips have been released from Suite Française, adapted from Irene Nemirovsky's novel, Indiewire reported. The film stars Matthias Schoenaerts, Michelle Williams, Kristin Scott Thomas, Margot Robbie, Ruth Wilson and Sam Riley. Suite Française is currently playing the U.K., but no U.S. release dates have been announced. Filmmaker and actress Sarah Polley (Away from Her) has been hired by producer Amy Pascal to adapt Louisa May Alcott's classic novel Little Women for Sony. The Wrap reported that Polley "does not have a deal to direct Little Women at this time, so while Sony might be courting her for that job down the line, she won't decide whether to step behind the camera until she finishes writing the script." John Lahr won the £2,000 (about $2,990) Sheridan Morley Prize for Theatre Biography for his book, Tennessee Williams: Mad Pilgrimage of the Flesh (Norton), the Bookseller reported. Lahr commented: "You don't write books for prizes, but it's amazing how thrilling it is to win the acknowledgement because the whole enterprise is so solitary, and there are so many good writers--it's a huge honor." This year's shortlist included Covering Shakespeare by David Weston, Our Time of Day: My Life with Corin Redgrave by Kika Markham, What Do I Know? People, Politics & the Arts by Richard Eyre, and I Know Nothing: The Autobiography by Andrew Sachs. In Ordinary Light, Tracy Smith opens her emotion-packed narrative with the death of her mother after a long battle with cancer. Since Smith is a Pulitzer Prize-winning poet, one expects eloquence in her prose, and she adroitly delivers, as when she considers the five or six strands of hair she's just trimmed from the nape of her dead mother's neck: "Suddenly, those few strands, things I'd have once thought nothing of brushing off her shoulders or discarding from among the tines of a hairbrush, were consecrated, a host. For a moment, I contemplated eating them, but then they'd be gone and I'd have been left with nothing, so I placed them in a small plastic bag, the kind of bag in which spare threads or extra buttons are provided when you purchase a sweater or coat, and tucked that into the flap of my address book." Smith travels back in time to her early childhood and teenage years, as a black girl growing up in northern California with her stay-at-home mom, who was content to keep house for her husband and five children, of whom Smith was the youngest. She created a close-knit "tidy and functional" haven, "a life that would tell us, and the world, if it cared to notice, that we bothered with ourselves, that we understood dignity, that we were worthy of everything that mattered." Her mother had a deep faith in God, and she worked tirelessly to instill that belief in her children. Much of the angst in Smith's story revolves around her feelings of inadequacy, moments when she felt she failed her mother and God because of some action on her part. This was especially true when Smith discovered she had a sexual appetite just like any other teenage girl. Shelf Talker: Ordinary Light tells the story of Smith's coming of age as a black girl in northern California and the strong influence her mother had in the process.